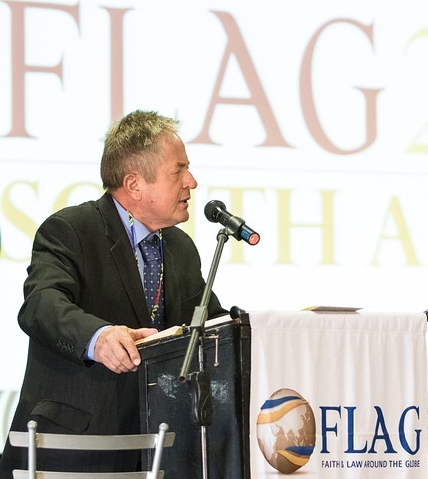 This presentation was given at the Third Global Convocation in 2016 in South Africa. Judge Bertelsmann received his B.A. in Law from the University of Stellenbosch. Between 1969 and 1971, he studied at the University of South Africa where he received his LL.B and became a Junior Lecturer with the Faculty of Law. From November 1972 to February 2000, Judge Bertelsmann was a public prosecutor and member of the Pretoria Bar. He became a Senior Counsel (SC) in 1988 and served four terms as Vice Chairman, three terms as Chairman of the Pretoria Bar Counsel (1989-1999). He was a member of the General Council of the Bar of South Africa (1991-1999) and acting Chairman in 1999. He has been a delegate and speaker at the General Council of the Bar of South Africa, International Bar Association, Commonwealth Lawyers Association, and Society for the Improvement of the Criminal Law at London, Edinburgh Vancouver, Berlin, New Orleans, Cape Town, Sun City, Paris, and Kuala Lumpur (1990-1999). He was appointed as Judge to the High Court, Pretoria, in 2000. From June 2010 to November 2010 he had an acting appointment in the Supreme Court of Appeal, Bloemfonteign, South Africa. Currently he is judge in the Land Claims Court. He is co-author of three legal textbooks. He was treated in the Elim Clinic, a Christian professional addiction treatment center, for addiction to Ativan (transquilizer) and alcohol, and has been a director of that clinic for the past 24 years.